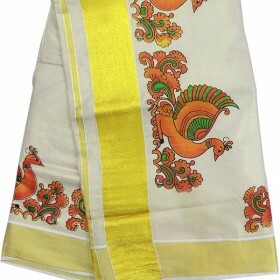 Off white cotton fabric Kerala kasavu traditional fleet saree designed with beautiful peacock embroi..
It’s a traditional mundu for men’s. 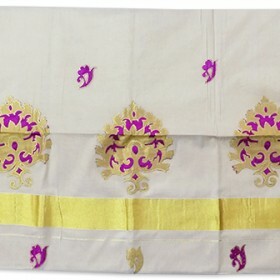 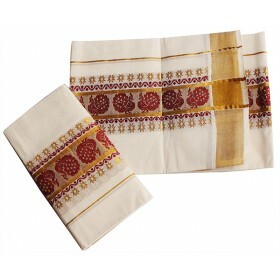 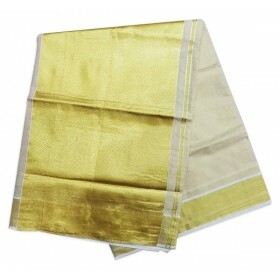 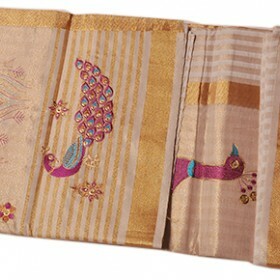 In vertically of the mundu brown color border in the middle of t..
Special Kerala tissue kasavu saree have thick golden border along with violet and golden coloured pa..
Beautiful multi-colour combination of Romantic peacock mural print Kerala tissue kasavu settu saree .. 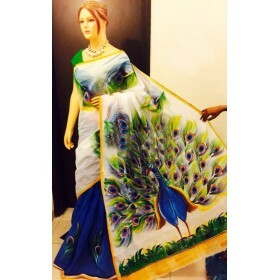 Traditional attire is mostly wanted by the women’s to give a simple Kerala traditional look, here is..
Modern traditional sarees are mostly loved by our generation to get a trendy touch, this is Kerala hand painted saree of pure cotton fabric with multicolor. 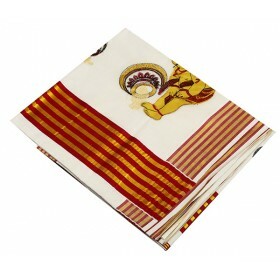 It has contrasting color combination of red, navy blue, orange on pallu which gives an attractive look. 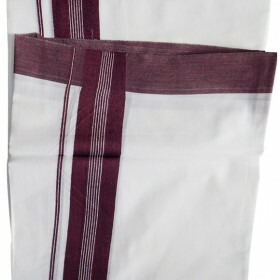 On top fleet we have black and white curly stripes along with the contrasting color border. 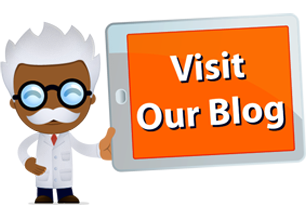 As our image bottom fleet is separated with black and white curly stripes and three layers of red, navy blue and orange color makes it mesmerizing. 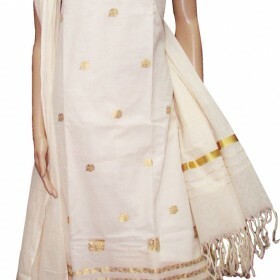 This will be one of your best party wear.